The Bay City Rollers featuring Les McKeown, return in 2018 to whisk you into a 1970’s frenzy all over again. Following 12 sold out shows across the country in July 2017, Scotland’s greatest music sensations will be returning to take you back to a time when their music, and ROLLERMANIA mayhem, was at its peak. Experience the excitement and hysteria of those halcyon days as the Rollers belt out your favourite tunes. Hits like Shang-a-Lang, Bye Bye Baby, Saturday Night, I Only Wanna Be With You and Rock'n'Roll Love Letter will have you pumped and dancing all night! The story of the Bay City Rollers has been told countless times and charismatic frontman, Les, is on a mission, touring the world so that audiences, old and new, can experience that unique Roller magic. Time and time again, Les brings the house down as he takes fans on a nostalgic journey to the rousing heyday of the Bay City Rollers. An unforgettable experience and a perfect way to reminisce and celebrate being a teenager during the golden era of the 70s. Remember the music! Posters on your bedroom wall! Tiger Beat magazine… and of course ROLLERMANIA! The Rollers have enjoyed phenomenal success and sold a whopping 70 million albums. The teenage delirium they created was akin to Beatlemania. Their run of Aussie chart hits started in 1974 with Shang-A-Lang (a fan favourite to this day) reaching #28. In 1975 they scored a #1 Australian Hit with Bye, Bye Baby. They followed that up with a string of Top 10’s – Give A Little Love, Money Honey, Saturday Night, Rock and Roll Love Letter and I Only Wanna Be With You. They also did a smashing cover of John Paul Young’s Yesterdays Hero. 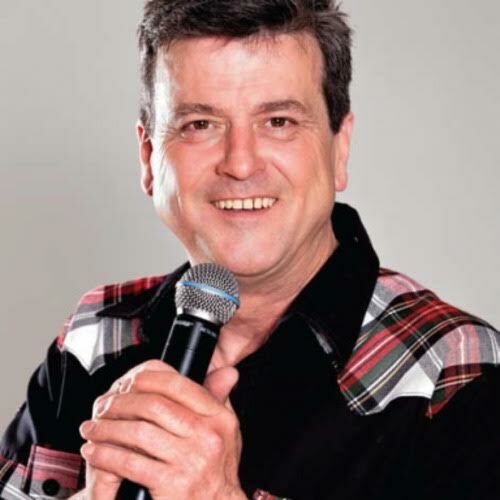 This is your chance to re-live treasured moments and create new memories with your tartan-clad hero Les McKeown and his Bay City Rollers. Don't miss this opportunity to be a part of another chapter in Rollermania history!